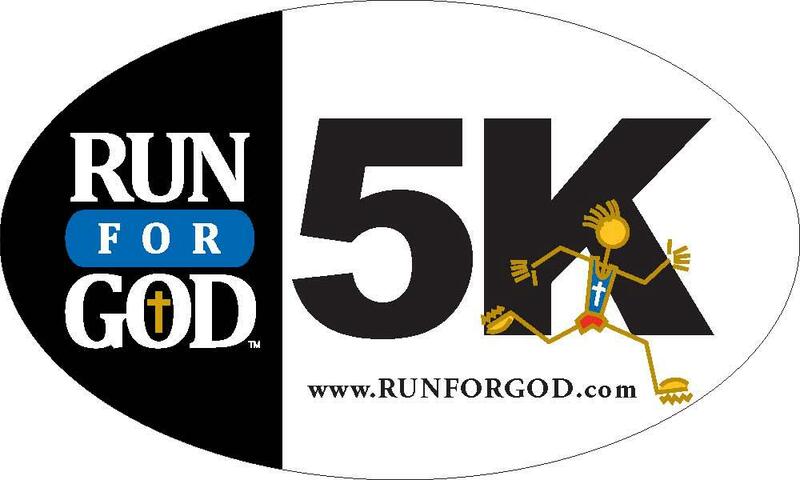 In less than ten weeks, River Oaks Community Church will kick off the Run For God 5K Challenge. Part Bible study and part 5k training course, this 12 week program is intended to challenge participants to achieve new spiritual, mental and physical goals. Each Monday evening, beginning on February 13th, we will spend about 30 minutes in a conversational scripture study. The parallels of physical and spiritual endurance will be the theme to our study. Next we will spend 30 minutes on a running related topic of the week. From nutrition, to proper shoes, to injury prevention, to music, to race etiquette, and so on, our student workbooks provide detailed information on each topic. Additionally, the course material will be supplemented with advice from more experienced runners that are volunteering to help you run your first 5k, your next 5k or maybe even your fastest 5k. Finally, the remaining time will be spent on Q&A, individual training plans and fellowship. The beauty of this study is that we will complete the program in early May and we have already identified a May 12th 5k that we will run together (exciting details to follow soon on this as well). Trust me, you CAN do it! This program was created with beginning runners in mind. We will schedule group runs weekly and you will develop instant friendships with others who will help with accountability to your training plan. If you can find just 3 days a week in which to run / walk 30 minutes, you will make it. And you will do so with a like-minded support group. For more general information, check out the Run For God website, RunForGod.com. Keep watching for specific details to our ROCC group program. We will have a church-wide communication in early January, as well as more information community-wide. Also, check out the River Oaks website in late December for information on enrollment; ROCC. So commit now. Make 2012 the year that you take on the 5K Challenge. Make RFG a family activity. Make a buddy join in with you. Make new friendships through an uplifting experience. Whatever you decide to “make” of Run For God, just know that we will collectively search the scriptures for inspiration and we will find joy in the journey. See you in February. As you know, RFG has truly blessed my life and turned my running into worship. I will be praying for your upcoming class and 5k. I am excited about all of the doors God will open and the lives He will bless during your journey. May God bless it!